Grimsby Town have extended the loan deal of Hull City defender Conor Townsend until January. The 22-year-old has made three appearances since joining the Mariners for a second time last month. The former Chesterfield, Carlisle, Scunthorpe and Dundee United loanee admits his future almost certainly lies away from the KC Stadium. 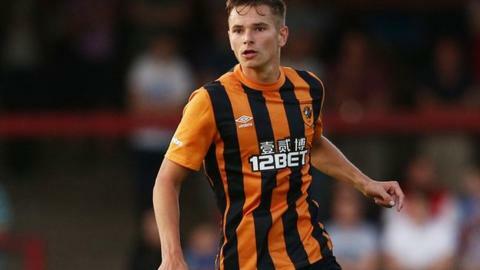 "It's my fifth year as a pro and I've only played for Hull once," he told BBC Radio Humberside. "When you're coming through you dream of playing for the team but I have to build a career for myself. "I'm enjoying my time here and I'll do the best I can and see what happens in January."